The Perfect Time to Become an Owner! Our Co-op thrives on community ownership! As a owner, you own the store, and are entitled to an equitable vote in this democratically-run business. We aim to listen to and act on your feedback; source the local items you’re looking for; and offer benefits that encourage you to shop here, like our 2% co-op credit program. If you are thinking about becoming an owner, now’s the perfect time! We are offering a special incentive: become an owner, and receive a FREE Local Bounty Box! For the months of November only, if you become an owner, you will receive a voucher for a FREE Local Bounty Box. If you have never tried this wonderful offering before, the Local Bounty Box is a crate of local produce that we offer weekly. It is always filled with a colourful variety of fresh and local produce items, and is a fun and convenient way to experience the amazing produce the Hamilton region has to offer. 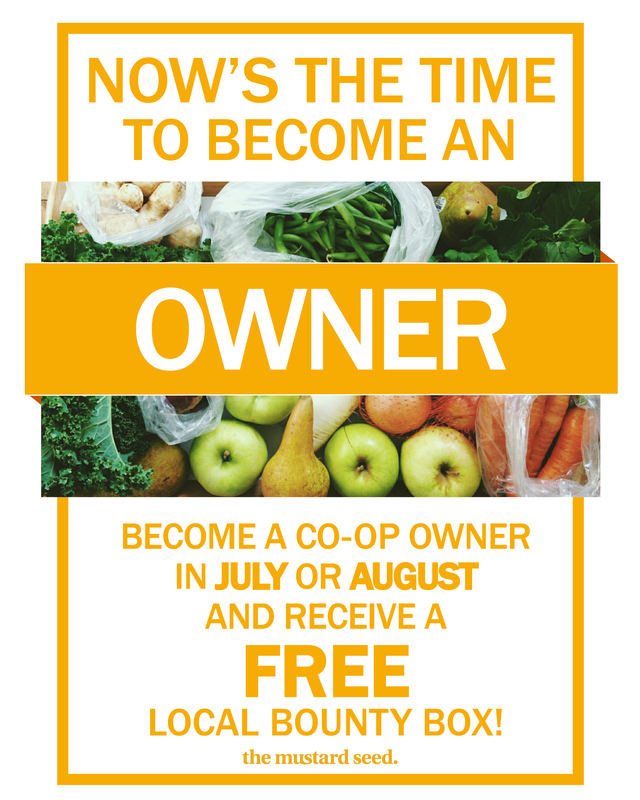 Local Bounty Boxes are pre-ordered with a Monday deadline and picked up from the Co-op the following Wednesday or Friday. Check out our Local Bounty Box page. 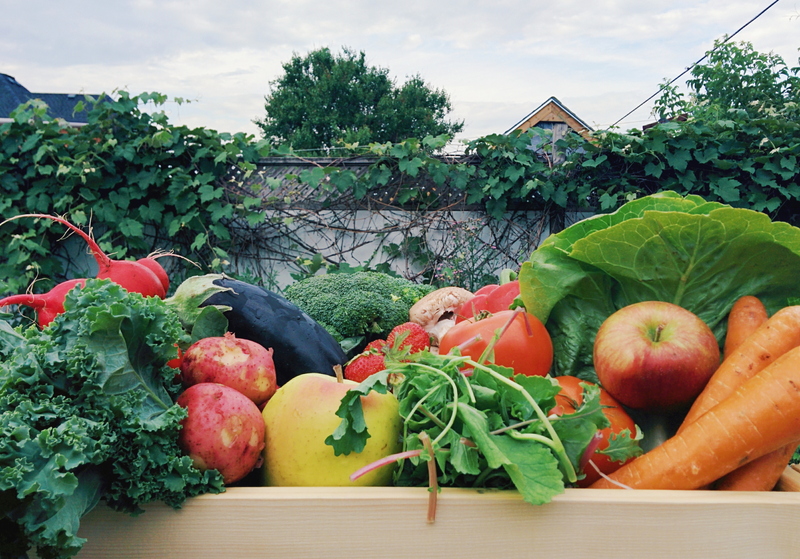 This is where you can place your order and find out more about our Local Bounty box! Print out a membership form, fill it in, and then head over to the Co-op at 460 York Blvd in Hamilton (near Dundurn Castle). You can also pick up a form and fill it out at the store. Return the completed form to one of our cashiers, and pay your one-time membership fee of $100. Receive a voucher for a free small Local Bounty Box, to be redeemed before the end of August. When you’re ready to redeem it, order your bounty box online, and be sure to indicate that you’re planning to redeem your voucher. When you pick up the Bounty Box, go through the checkout, and instead of paying $19.99, simply hand in your voucher, and get it for free! Whether you’ve been considering becoming an owner for a while now, or this concept is totally new to you, now is the perfect time to jump in! Maybe you’re already a owner, but you’ve heard a few friends express interest – please share this with them! By becoming an owner of the Mustard Seed, you can effect change in our food system, own your own grocery store, and build your community all at once! If you have questions, please check out our FAQ page or feel free to email info@mustardseed.coop. Let’s work together to continue building Hamilton’s only community-owned grocery store!